Ask An Author: Where do you write? Today we have exclusive, untouched, never-before-seen photos of real writing spaces. Have a gander . . .
Here’s where Brian writes. He calls it the Fortress of Squalitude. Hazel takes advantage of the view from her window, perfect for day-dreaming and asking herself “what if?” While she most often writes at her computer, she also likes to keep old-fashioned paper and pen handy for thoughts on the go. 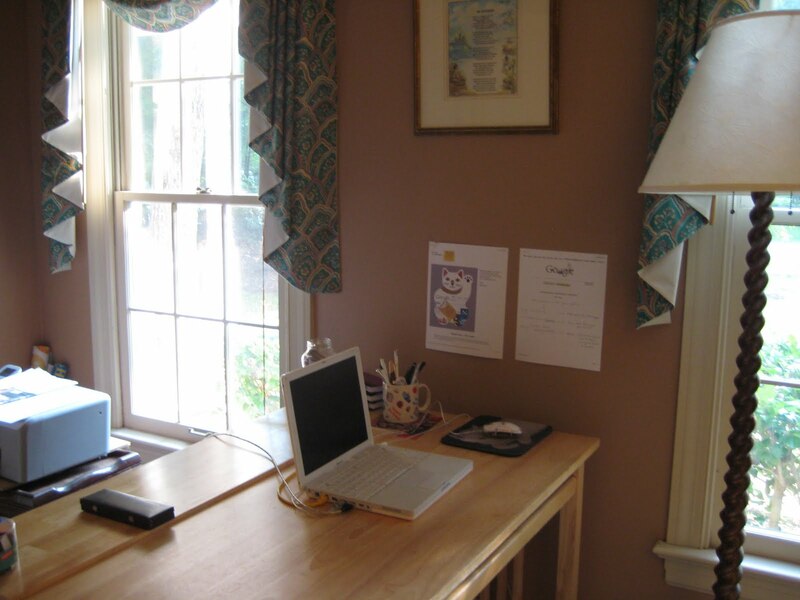 Over the years, Stephanie’s writing place has moved from room to room. 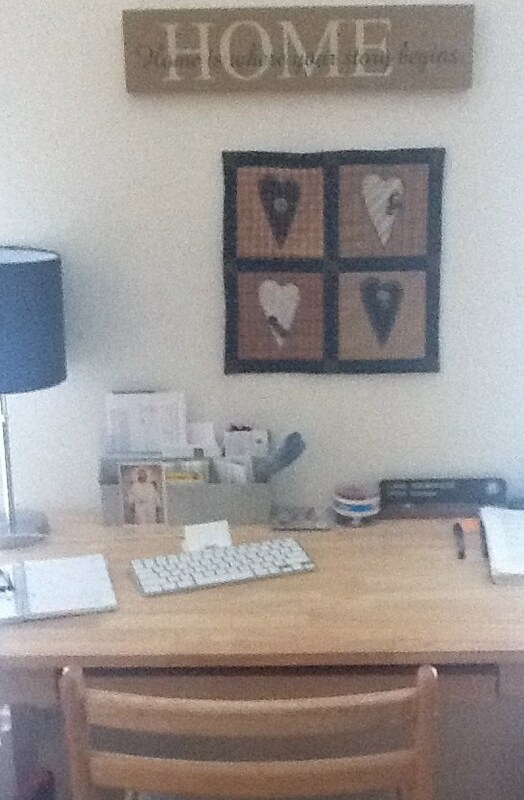 Here’s the spot where she’s settled for now – all freshly neatened up for its blog debut! 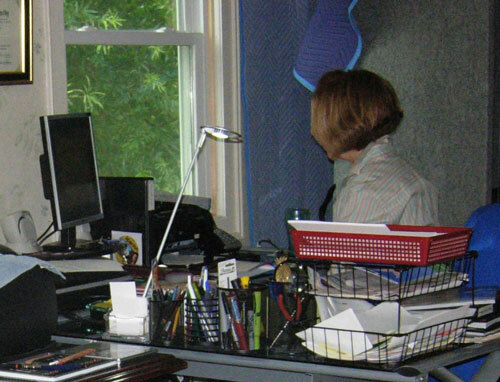 Her desk fits snugly between two windows. She like to have LOTS of light! Stephanie’s fantasy writing place would be a glass tower in the back yard. Here’s where Lana does most of her writing, although she has been known to frequent Panera when a change of venue is necessary. 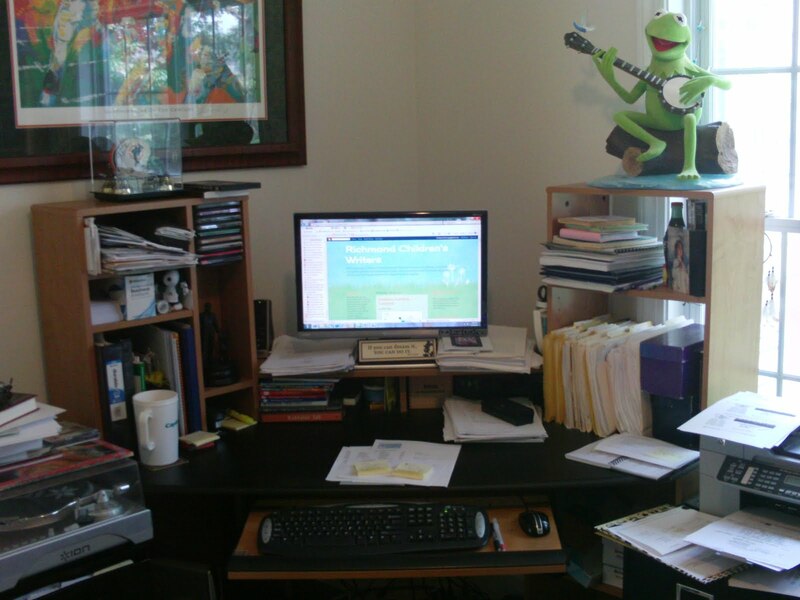 Tell us about your writing space . . . or your fantasy writing space.